Fragrances- the unseen accessory that is always in. They say fashion is what you buy and style is how you wear it, but perfume is the missing link in executing the two flawlessly. What they should also mention is that it’s the one accessory that takes a great deal of real estate on my bathroom counter. Every perfume is unique, which makes it difficult to solely fall in love with one fragrance. Each scent inspires a certain feeling or emotion. Each scent is also appropriate for certain occasions depending on your personality, lifestyle and preference. Today I wanted to share with you two of my go-to scents for summer. If you read my previous posts on Scent Reaction, you know I am a huge fan of the Aqua Allegoria line by Guerlain. I own the Bergamote Calabria because I am strongly drawn to fragrances with citrus and bergamot notes. Passiflora, the new scent created by Guerlain’s perfumer Thierry Wasser, has the same citrus notes but with a fresh-fruity and floral twist that makes this scent evocative and transports me back to waking up with the sunrise in Europe. 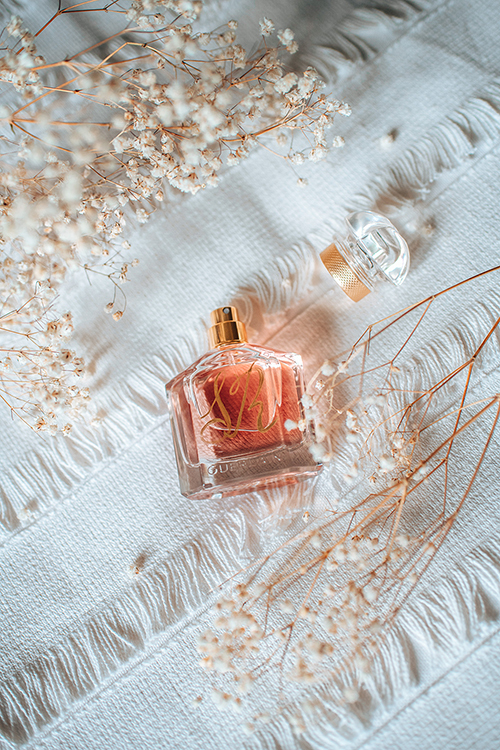 Because this fragrance has many layers, it’s my go-to scent for days when I want to feel delicate and feminine. This fragrance has been my everyday scent since mid-Spring. If you look at my style and Instagram feed, you know I rarely throw in the colour pink in my wardrobe. What you will also notice is that I love peonies! 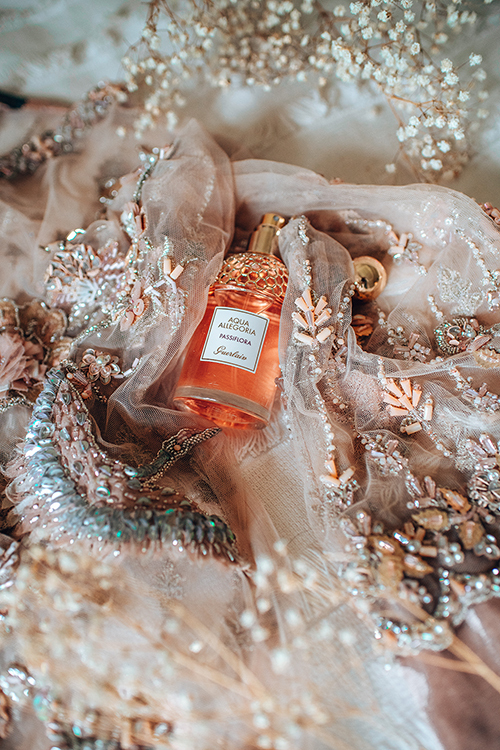 Because there is a strong scent of peonies in Mon Guerlain Florale, you could say this scent is the hidden pink accessory in my style and feed. I love the original Mon Guerlain fragrance, the scent captures Angelina Jolie’s strength, sensuality and free spirit perfectly. This new florale addition is my favourite because I can surround myself with the scent of peonies year round. Plus I love how Thierry Wasser, the nose for Guerlain, mixed my favourite flower with lily of the valley and neroli, to create a scent that feminine, fresh and sensual at the same time! Hello everyone! Ben here once again. As some of you may know, I have decent clout as a cook. And before a was a cook, I was a professional flower sniffer. Needless to say, I take great pride in my sense of smell. Did you know that smell is linked to memory more than any other sense? If you didn’t, you do now, lucky you. That being said I think I’m the perfect person to review this new cologne: Cologne Bleue by YSL. We finally have a masculine product to review as a part of this month’s beauty edit and I’m all over it. It smells like the morning that you actually woke up early and went for a cool dip in a pool. The scent is cool with attitude and there’s something profoundly sophisticated about it. The smell is rather deep and clean and it lasts must longer than I anticipated. It is a very nice cologne I’m pleased to own. Love your curated blog ! I so appreciate these suggestions for fragrance and your photos are beautiful. I also love the equation of a scent with waking up to a sunrise in Europe. I also love fragrance but don’t wear often as I find many people are sensitive to it. But at home I love to wear it and like you, I love the scent of peonies . So I may very well try that perfume. Thank you for sharing this wonderful post ! Guerlain’s Passiflora is one of my favorite scents. It’s amazing how some perfumes take you to a particular moment in your life or remind you of something in this instance. I love peonies and the scent is light and airy, so it’s perfect for home or out. Thank you for stopping by! Thanks for sharing these scents for summer. Love the packaging! Thank you so much! Thank you for stopping by and wish you a wonderful weekend! They smell even better! Thank you for stopping by and wish you a wonderful weekend. Great post – loved the shots! I also have gift ideas now! Thank you! Perfumes/Colognes always make great gift ideas! Even for yourself! I haven’t tried any of these but would love to. They’re all gorgeous. YSL – COLOGNE BLUE looks really interesting to me. I’d love to see it for myself. Thanks for sharing dear! Thank you so much! 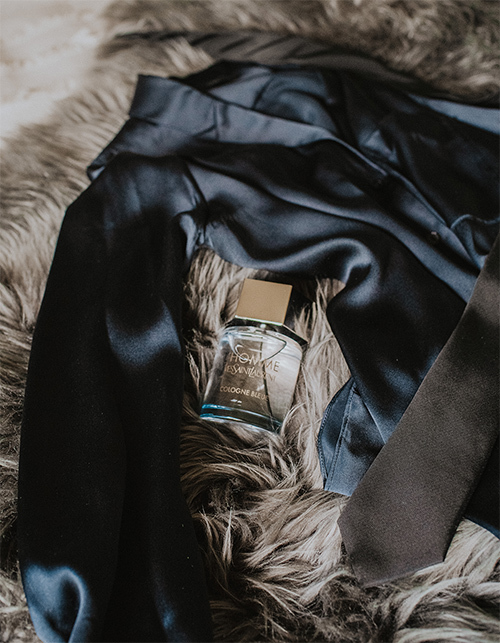 The YSL Cologne Bleue is amazing, your husband will love it! They are amazing scents for summer! Thank you for stopping by! Thanks for sharing these fragrances! Aww thank you so much! I should do this more often. Thanks for sharing these fragrances. It’s giving me ideas because I’m do for an upgrade! Thank you for stopping by! You totally should upgrade and explore new fragrances. They are available at Sephora or stand alone counters at Nordstrom or Hudson Bay. Thank you so much! You are too kind! This summer, it’s all about these scents for me!